* Does not include Sticky Tickets booking fee. 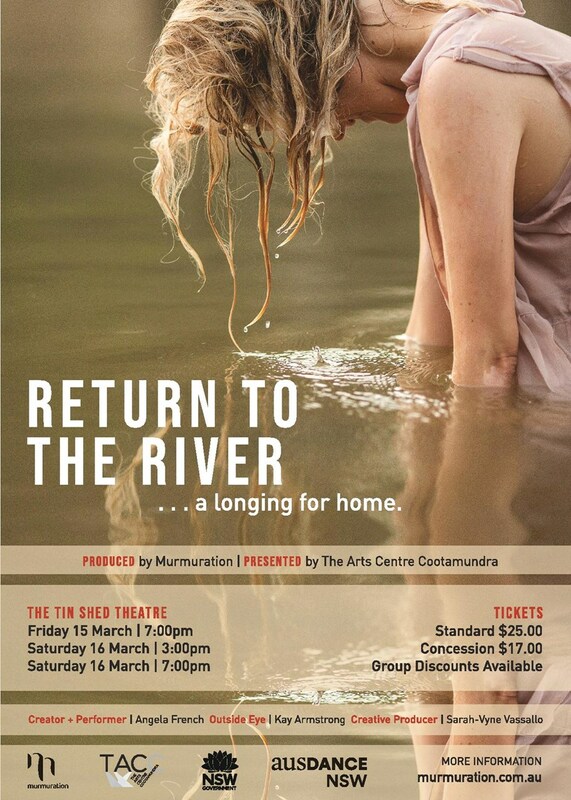 Return to The River’ is a new performance work by Angela French that explores the effects artificial environments have on our human psyche. Spanning the globe, from Dubai to the Murrumbidgee river in NSW, this work navigates contrasting environs, scale and the space of the river, and ultimately . . . a longing for home. Each performance concludes with a 30-minute post-show meet and greet and informal discussion with the artist. The work contains abstract content and is presented in a durational performance style with moments of high intensity.